Long-term performance and reducing maintenance costs are probably not the first criteria most people consider when purchasing septic vacuum trucks for their operation. However, it's essential to think through the maintenance cost and life expectancy of a vacuum tank – especially if you’re business relies on it to make money for the next 5, 10 or even 20 years. There is no such thing as a maintenance-free truck, but there are decisions you can make in the buying process that will give you the best chance at reducing downtime and keeping your trucks servicing customers, not to mention increasing the lifespan of your investment. A key decision to make early in the buying process is choosing whether or not to acquire steel, aluminum or stainless steel vacuum tanks. Even though both types of tanks function identically, there are some details you should be aware of before you order or purchase your next vacuum tank. And, to help you make the right choice for your operation, here are the pros and cons to consider. Stainless Steel is the most expensive material to use for vacuum tanks, but it will last the longest and is the most corrosive resistant. For this reason, stainless steel is an excellent choice for those operating along the coast or in areas where a tank is routinely exposed to salty environments. This especially includes cold weather areas that use salt on the roads and have to add a salt solution into the tank to prevent freezing. From a weight perspective, stainless weighs the same as mild steel but can be used to create a lighter vacuum tank. How? 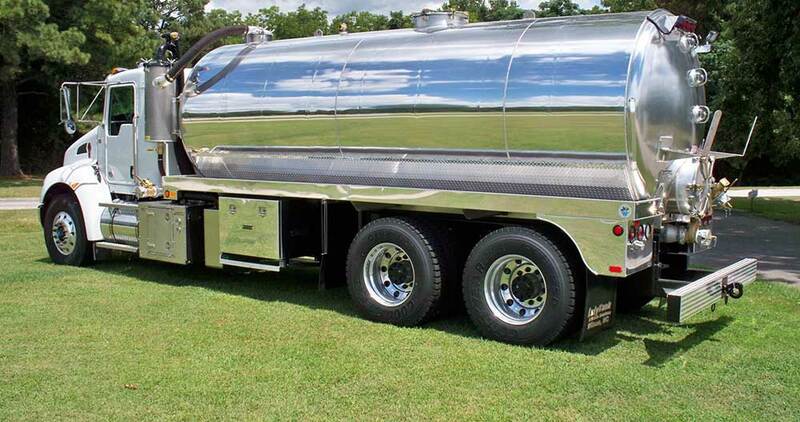 Because stainless steel is non-corrosive in nature, the tank is typically made with thinner walls than a mild steel tank, making for a lighter tank that can haul more waste without exceeding gross vehicular weight. Bottom line - A stainless-steel tank is lighter than mild steel and withstands almost any type of corrosion - a solid investment if you are concerned about needing to replace your vacuum tank or reduce tank maintenance costs. If you’re looking to maximize the amount of waste you can carry on your truck, Aluminum is the ticket for you. Aluminum vacuum tanks are made from the lightest metals available for this application. They are roughly 1/2 the weight of stainless steel tank and a 1/3 the weight of mild steel tank. If the weight of your truck could be an issue, then aluminum can be an excellent option for your truck. Even though aluminum doesn’t carry the same corrosion resistance as stainless-steel, it does provide an adequate lifespan. You can expect to use up to 2 chassis’ before having to replace an aluminum septic vacuum tank. From a maintenance perspective, any repairs to the tank will have to be done by a skilled welder with a TIG or MIG setup. This can be a concern, because not every welder is adept at welding aluminum. Mild Steel vacuum tanks are the heaviest metal to use but are also the most budget-friendly tanks you can buy. To combat corrosion of the steel the tank is usually constructed from ¼ inch thick steel. Mild steel tanks are the most prevalent types of vacuum tanks on the market because they have been around the longest, they are easily repairable and they give excellent life. As a rule of thumb, a steel tank can last for three chassis’ before having to replace a mild steel tank. 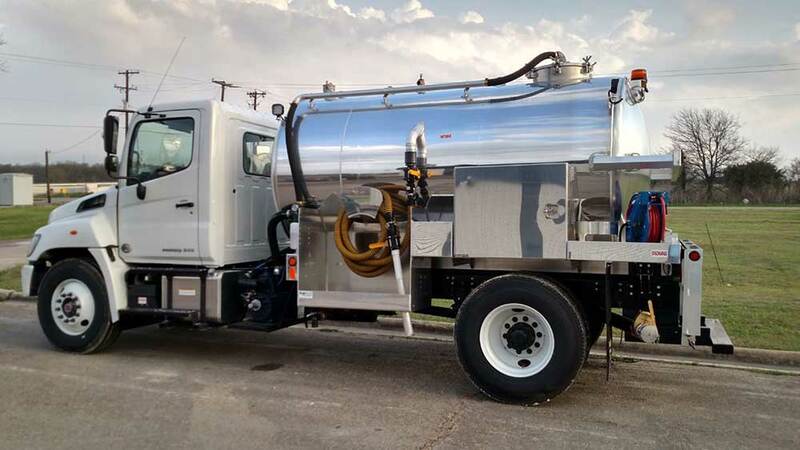 Whether you are looking to buy a vacuum tank rig to service septic tanks, portable restrooms, or pump grease; it’s worth taking time to consider all the available options and choose the right material for your tank with the best fit for your budget, environment and operation. 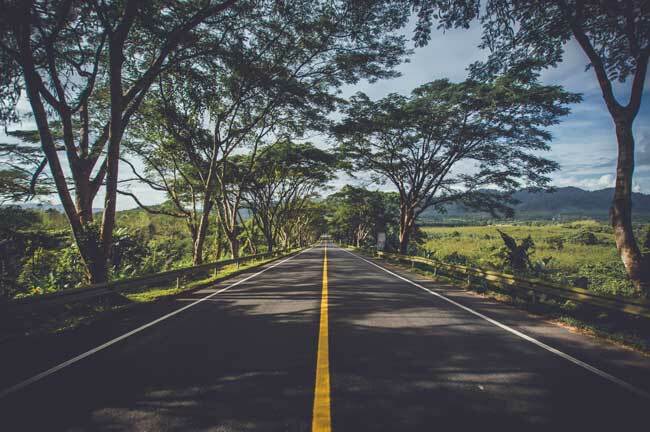 Doing so will help you avoid maintenance costs down the road and go a long way towards keeping your trucks on the road and serving customers for many, many years. Lely Tanks and Waste Solutions is an industry-leading manufacturer of septic, portable restroom and slide-in vacuum tanks and trucks. They specialize in building trucks to suit your operation and provide the best value and return on your investment. And yes, they’d be happy to help you decide whether a steel, stainless steel or aluminum vacuum tank is best for your next purchase.